This pack includes 3 stylish website background designs, two of which come in both light and dark variants. Each of the 5 styles has 20 preset web-ready images for use in your website, as well as a PSD to create your own in seconds! 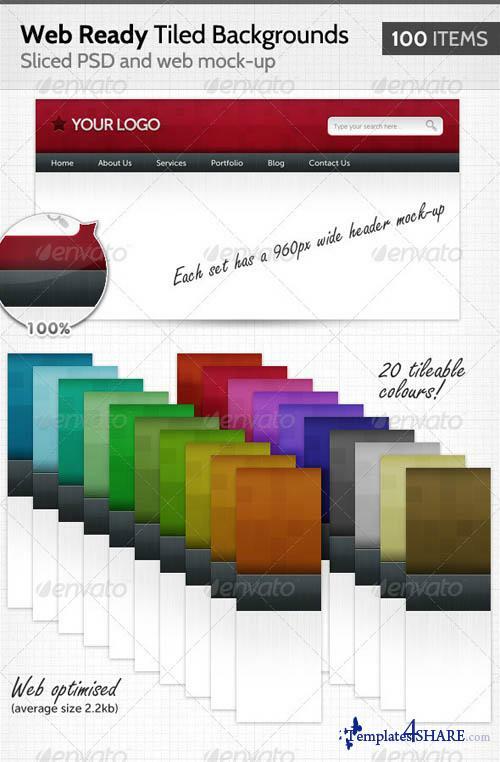 These backgrounds tile perfectly and have been optimised for the web, all the work has been done for you - just choose your colour and begin your website.